Let’s start this review/discussion with a couple prefaces to set the scene for you. I have never been a huge fan of any the Mortal Instruments/Infernal Devices series’ mostly because I avoided the hype of both of them for 9 years (and counting) and I could never get invested into the storylines. I owned almost the entire series for years and it just stood on my shelf collecting dust. I never watched the movie, the TV show, and I won’t. Yes, it was a huge honor to receive this ARC from the publisher and I thank them generously for taking the time/money to send it to me, but I stopped halfway through because of some ethical issues that I will try to tackle here in this post. I read (and reviewed) City of Bones a few weeks ago and was told my numerous people that it wasn’t that great, but I had to continue reading to really get into the series. Not having the time to do so (as I am a college student who is still approaching finals), I read through the story plots on the Shadowhunters wiki pages. 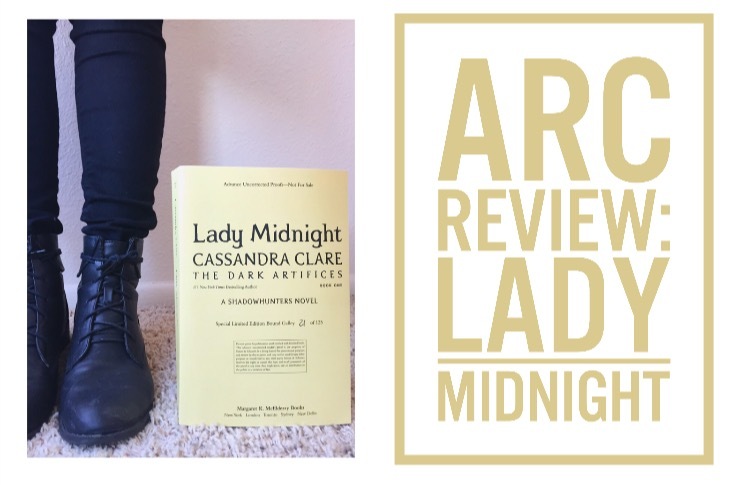 These were pretty informative and helped me understand the gist of the series so that I could jump into Lady Midnight and get my review done. The past week alone has given me such guilt about not liking the series and worry about being attacked by the fandom that I even became stressed thinking about writing this review. An over exaggeration? For me, no. For others, maybe. The past two weeks I have also been hearing reports here and there about some plagiarism scandals surrounding Cassandra Clare and the series. So, not wanting to jump to conclusions, I did my research. I read the court documents that cited what Sherrilyn Kaye was accusing Cassandra Clare of, I found examples of plagiarism from other works, and I read other opinions on the entire matter. As someone who works in my University’s Writing Center, I ethically could not continue reading this series, nor will I pick up her other works (I only recently bought some because I thought I would be able to attend an author signing for her). So, this leads me to my current predicament and something that has been tumbling around in my mind for awhile. Yes, this may offend some people, and I’m sorry about that if you genuinely do like the series/works. However, as I said before though, I was never a fan of the series, I don’t see myself becoming a fan of the series because I’m over paranormal books, and I cannot ethically support this author. But, what is the book blogger community if not honest? We are all allowed to have our opinions. It is not my end goal to go shouting my opinion all over social media nor do I stand for author bashing; this is just an honest portrayal of my feelings, something that I am entitled to. For now, I’ll quietly purge myself of these books, and fade away so that others can enjoy the series as they see fit. I completely understand what you’re feeling right now. I have to say I didn’t enjoy the Mortal Instruments as much as everyone else did. Though the Infernal Devices is one of my favourite series…. I just feel as though Clare overuses the same recipe for her books. They are largely the same in my opinion and I haven’t stated it so blatantly before in fear of criticism. I have some reading to do it seems into the whole plagiarism fiasco. Really enjoyed your review. I’m sorry you didn’t enjoy the series or Lady Midnight. Out of Curiousity, what will you do with your arc? Thank you so much! I haven’t decided yet. For the time being I’m going to hang onto it, but I may pass it off on the #booksfortrade tag on Twitter at some point. I’m sorry you had this unfortunate experience. i’m having the same time of problem with the mortal instruments series! I’ve been stuck on the 5th book for about 4 months, but everyone keeps telling me CoHF is the best of the series so I’m forcing myself through CoLS to (hopefully) get to the “amazing ending.” but I gotta say, i read the infernal devices and those books are some of my absolute favorites! the mortal instrument just isn’t living up to my expectations 🙁 I’m going to give lady midnight a try, so we’ll see how that goes! sorry to hear you didn’t like LM, but I love the review! Thanks for your comment! I also hear the last one’s are the best, but I’m a bit too over the genre and series to give it another try. 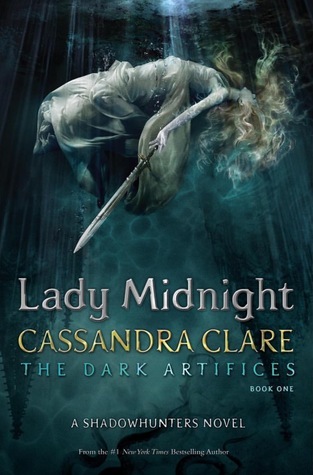 HOWEVER, I do hear that TID is amazing so maybe I’ll give it another couple years and try that series, as I put Lady Midnight out of sight for now. This is a very good/interesting review of Lady Midnight. As someone who’s pretty into the TMI/TID/Shadowhunters fandom, I was very interested to read your take on Lady Midnight. I, too, have been pretty conflicted about Clare’s history with plagiarism. However, I really enjoyed your review; it’s hella honest, and I really appreciate that. I’m sorry you didn’t enjoy the book! Hide it in another room. LOL! I am with you in this. I didn’t and couldn’t relate to the characters. I still have my physical copy but I tried the audiobook to see if it would help me go through with it… but I just couldn’t. I ended up returning the audiobook copy but I was able to have the hardback sugned by her so i’ll just hold on to it for now. Love this review. Now that I have read it, I see that her books are almost exactly the same, girl finding out she’s not human and such. I couldn’t get into city of bones for the life of me, even though I own all the books. For the infernal devices I read all three but there wasn’t anything special, i skimmed through most of it. It’s sad to say, while I own almost all her books I don’t plan on ever reading them. I had been a huge fan of the series for YEARS. Basically since the first few books had been out. But the more of the series I read, the more I realized I was only reading them because I told myself I loved the series. I read Lady Midnight when it came out and it made me take a step back. I couldn’t connect as much with the characters. Then I started hearing the same reports about plagiarism as you did. After some research, I just can’t see myself ever supporting her books again. I got rid of all the books I owned by her and just have zero interest in reading anything else from her. I’ve also heard some questionable things about how she talks to fans and the things she has done behind the guise of anon accounts. Its just really disappointing overall. I couldn’t agree more! I’ve heard horrible things about how she’s bullied people online, and there’s no excuse for that.